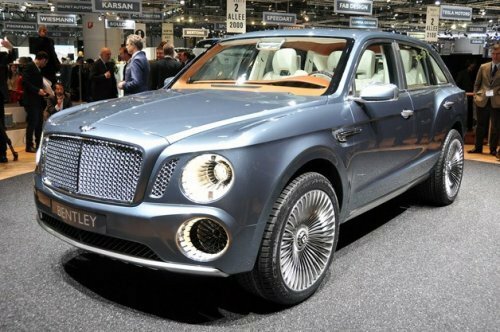 Bentley has been hinting at the possibility of a full-size ultra-luxury SUV for a few years. They finally put out their concept SUV at the Geneva car show. Not that is ugly. 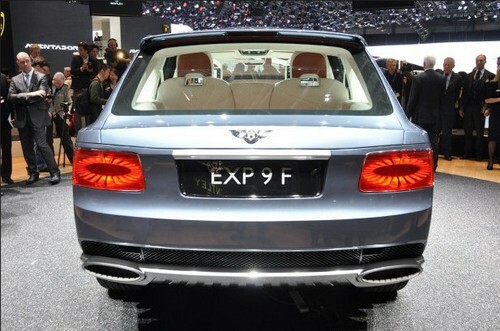 Now how about the name EXP 9 F. Where did that come from? Using the 6.0-liter W12 engine from the Continental or with a proposition of having a V8 accompanied by an electric motor and battery pack. Probably make this the worlds least efficient hybrid.